332 pages | 18 B/W Illus. 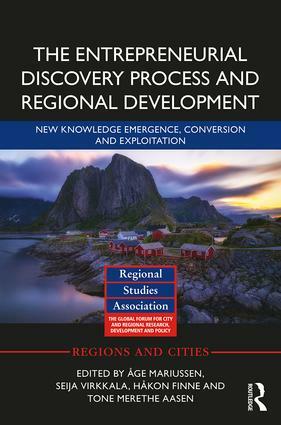 Åge Mariussen is research manager and senior researcher at the Department of Regional Studies, University of Vaasa, Finland, and Nordland Research Institute, Bodø, Norway. Seija Virkkala is professor in the Department of Regional Studies, University of Vaasa, Finland. Håkon Finne is senior research scientist at SINTEF Digital, Trondheim, Norway. Tone Merethe Aasen is senior research scientist at SINTEF Digital, Trondheim, Norway.